are sleep apnea and obesity related? 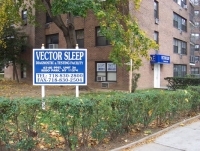 Hello, I am Doctor Kolesnik, I am a medical director at Vector Sleep Diagnostic Center in Queens, New York. I am board certified in neurology and sleep medicine and I have been in practice for the past 12 years. Are sleep apnea and obesity related? The answer is certainly yes. An estimated 18 million Americans suffer from obstructive sleep apnea and the majority of them are overweight. Increase in body mass index, or BMI, and large necks are among the risk factors for obstructive sleep apnea. Not all the overweight people are suffering from obstructive sleep apnea but with increase in weight there is a high incidence of obstructive sleep apnea. But the relationship is more complex. Obstructive sleep apnea may cause a variety of changes—psyiological and behavioral—that will lead to increased somnolence and less desire to exercise or diet. Additionally, people that don’t sleep adequately may develop physiologic responses that will lead to increased appetite and increased calorie intake and will further contribute to weight gain. Early diagnosis and intervention will help to treat obstructive sleep apnea and obesity.